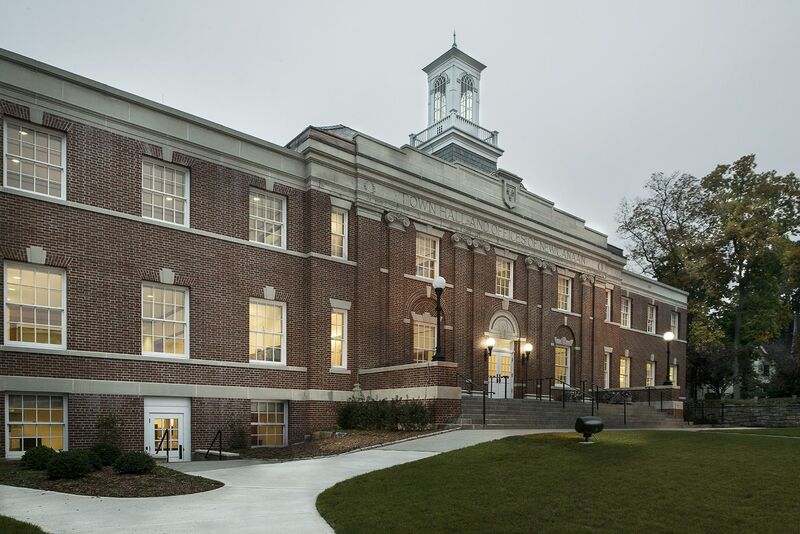 New Canaan Town Hall was built in 1909 and its Colonial Revival facade–designed by Edgar Alonzo Josselyn–is still aligned with other structures in the New Canaan, CT, downtown but the building didn’t meet accessibility and technology standards fit for a 21st century workplace. 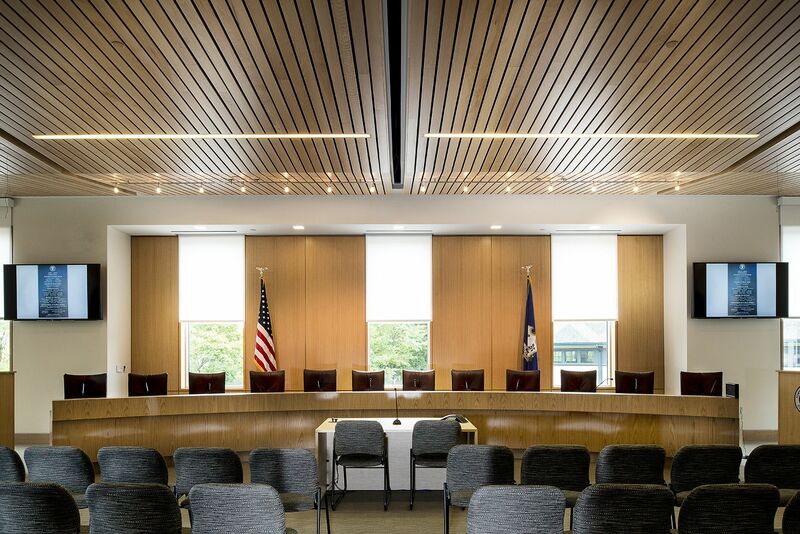 City officials knew they could no longer put a band-aid on the the building issues anymore and had to address leaky roofs, mold and mildew, poor lighting, a condemned heating system and other issues plaguing New Canaan’s 106-year-old local government centerpiece. 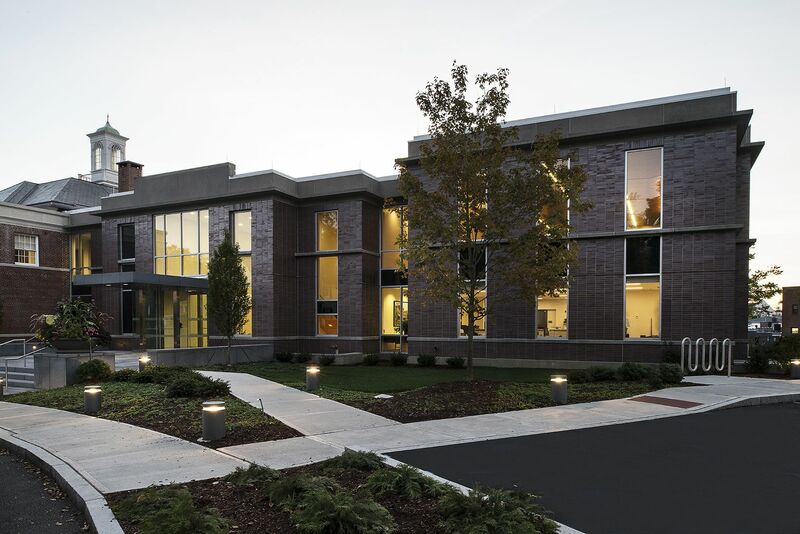 KSQ was selected to provide historical analysis and inventory for the existing structure and to create a new, modern two-story addition. 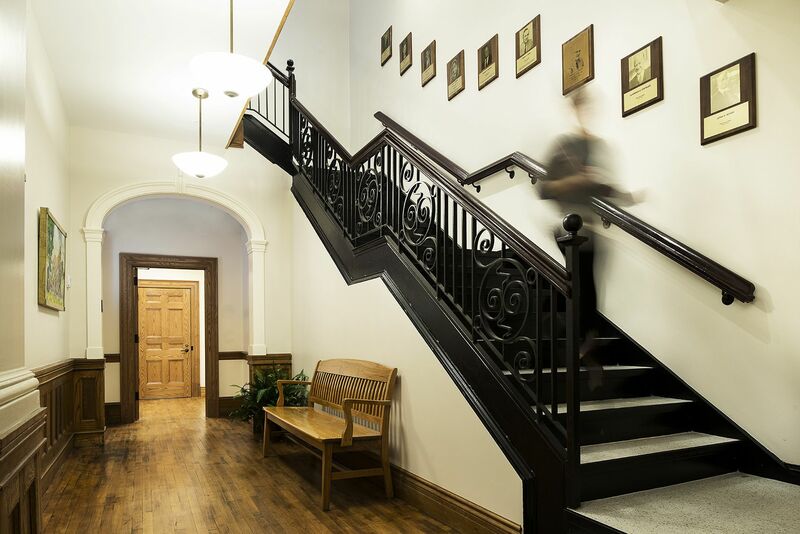 We embraced history by rehabilitating the existing historic facade, taking WPA-era paintings of the town out of storage and displaying them throughout the building, and unearthing original, golden maple floors in the front half of the building. 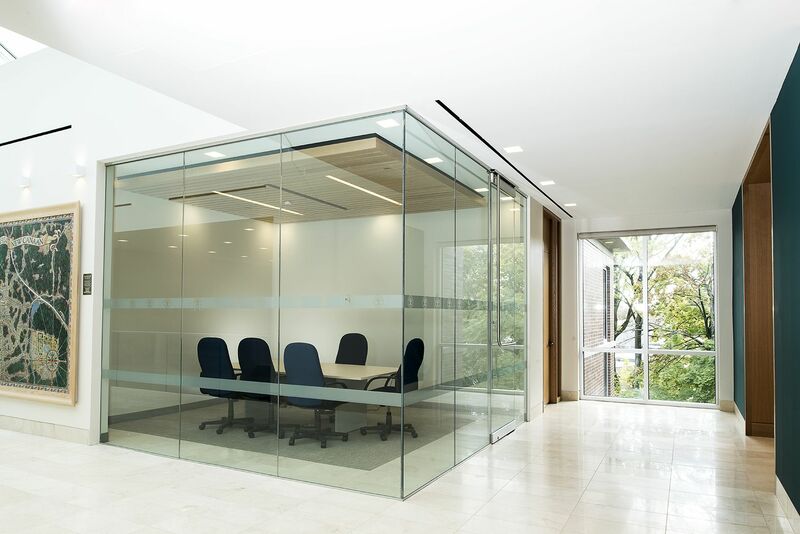 We incorporated glass into the design (such as a glass encased conference room) to promote an idea of transparency in town hall business. 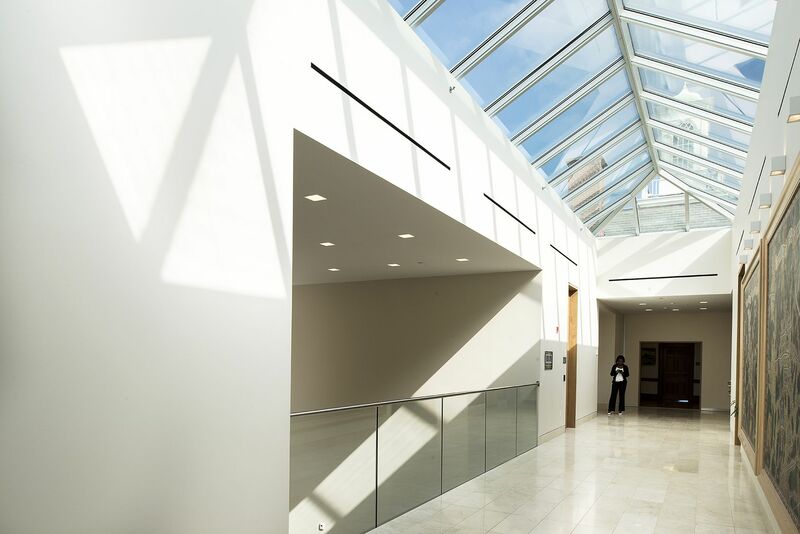 We also brought in light throughout the space, including the two-story atrium and skylight allowing visitors to see Town Hall’s cupola (that has stood since 1909) from inside the atrium.